Here in LA, dogs are more than just “woman’s best friend”; they’re the perfect party companion, the hottest accessory, and sometimes the most talked about celebrity in the room. Recently I got to sit down with webseries creator, Rory Uphold, to hear about what it’s like to write for and work with celebri-dog, Tuna Melts My Heart. I’m standing outside of a wax museum on Hollywood Boulevard waiting for Rory Uphold, creator and star of the webseries HelLA, to meet me for an unconventional interview. But according to an email she just sent me, she’s already here. I look around: A man with a sign reading “Need $$ For Booze” is lying on a Hollywood Walk of Fame star. A family of tourists rounds the corner with cameras slung around their necks, and an off duty Spider-Man sipping a soda crosses the street. But no Uphold. 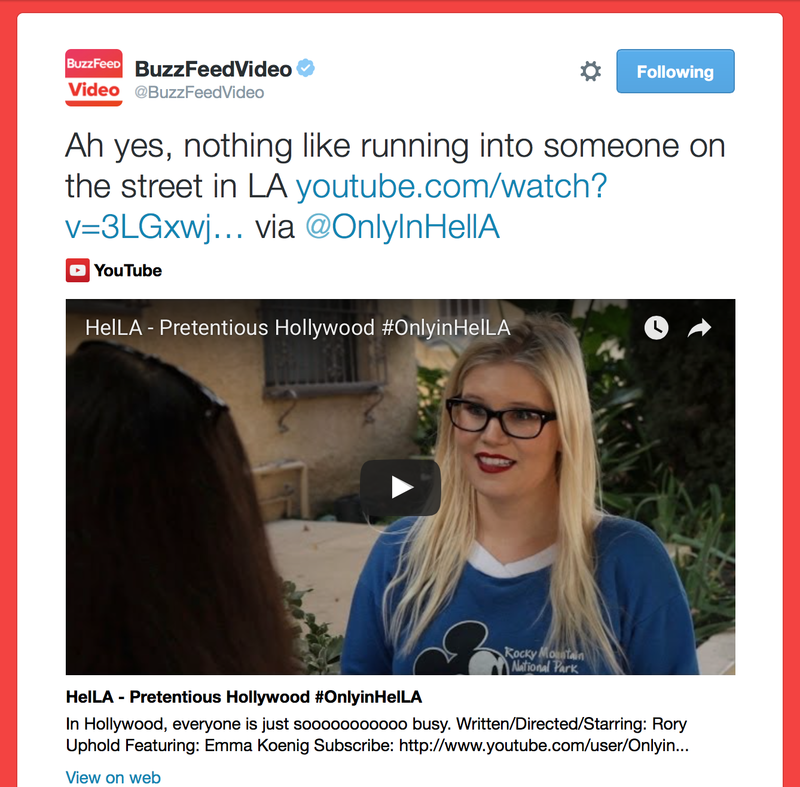 OnlyInHella calls itself a Web comedy series about hellish moments typically found only in Los Angeles. Rory Uphold, a L.A. native, created, wrote, directed, and starred in the 12-episode series. 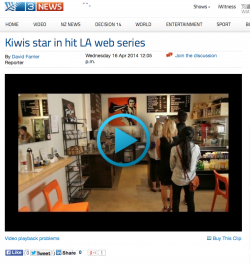 New Zealand actors Fleur Saville and David Lautour co-star. Season 2 is currently in the process of being funded via Kickstarter. 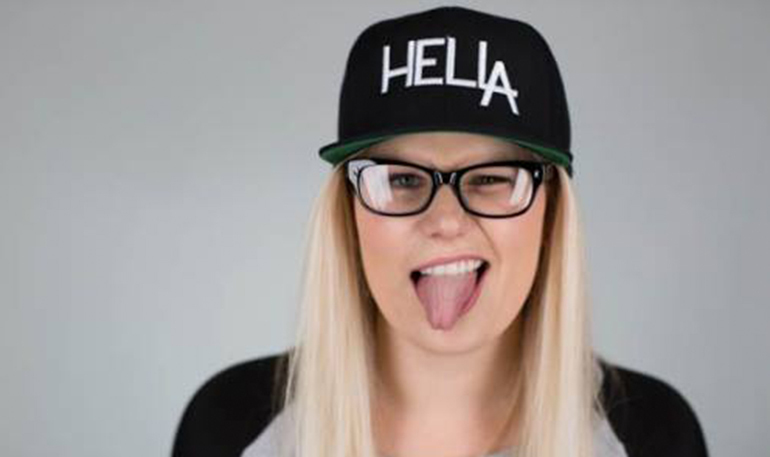 Hermosa Beach native Rory Uphold attracted more than 2.5 million viewers online for the first season of her webseries, “Only in HelLA,” which takes a satirical look at living in Los Angeles. Season two of “HelLa” (pronounced Hell-Lay) debuted Jan. 26 and new episodes appear every Tuesday on onlyinhella.com, which takes a comedic look at sports, self-tanning, Botox and celebrity culture. Uphold also traveled to New York to explore the Los Angeles versus New York debate. The premise is simple: A woman trying on a new dress checks herself out in a clothing store mirror. “You look tiny,” her friend says, offering a self-esteem boost. “You look like a model,” she piles on. Just when the first woman’s confidence is setting in, a stick-thin, Amazonian lady walks over wearing the same dress. She looks at herself in the mirror for a second, twists her face, says “no” and walks away. 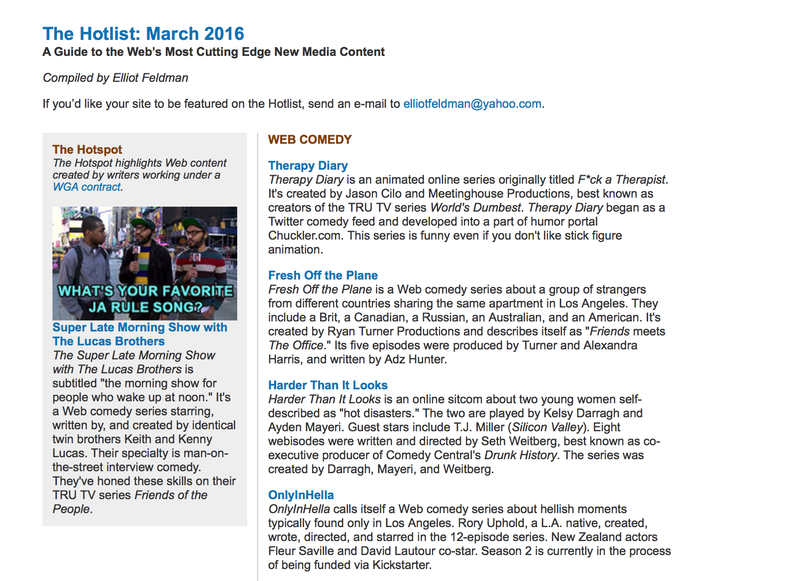 The 37-second clip (including opening and closing title screens) is part of the first season of the LA-centric comedy Web series “Only in HelLA,” and has more than a million views on YouTube alone. One of the first things visitors to the Loews hotel in Santa Monica will notice is a wall of video screens behind the check-in desk – a display that at first glance looks like it could be showing a ’60s beach party film, except it’s actually a live stream of the nearby shore. They say that parody is one of the sincerest forms of flattery. If that’s true, when it comes to the city of Los Angeles, Rory Uphold is one smitten kitten. 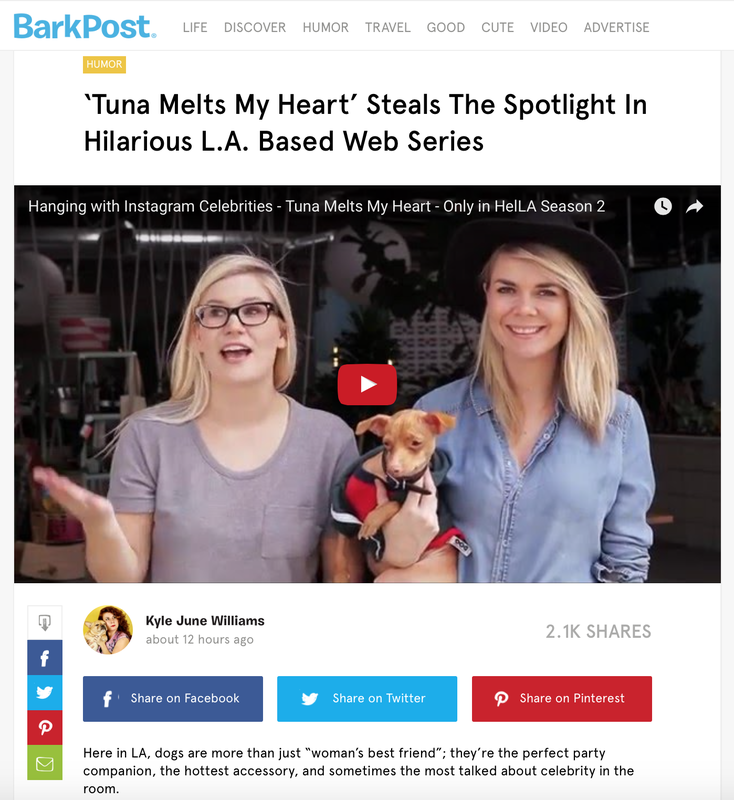 In January, I launched HelLA, a web show about funny, hellish, “only in LA,” moments. Sick of being told I wasn’t fill-in-the-blank enough by Hollywood, I started making my own content. It’s pretty common to hear people complain about Los Angeles. Truthfully, the first three years I moved here from New York City, all I could hear was myself, complaining. 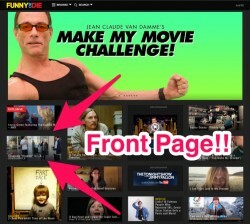 It’s difficult to find a web series that is consistently funny, engaging and knows exactly what it wants to be. Only in HelLA is one such series, and its most recent episode features New Zealand actors Fleur Saville and David de Lautour. 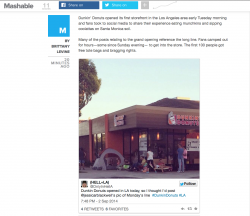 MASHABLE USES OUR DUNKIN’ DONUTS TWEET! Dunkin’ Donuts opened its first storefront in the Los Angeles area early Tuesday morning and fans took to social media to share their experience eating munchkins and sipping coolattas on Santa Monica soil. Writer, Director, and Star of HelLA, Rory Uphold, manages to hilariously and succinctly portray what the day-to-day is like for a young woman trying to live her best life in Los Angeles. If you can’t wait for Broad City’s premiere in January and have a predilection for the left coast, I highly recommend this smart, quick, intensely amusing series. TARREYN LAND: 20 QUESTIONS WITH RORY UPHOLD! HelLA differentiates itself with a Twitter-like pace that does not extend sketches beyond a punchline or two. Previous episodes have dealt with helLAcious topics such as traffic, pushy street activists, and the gluten-free lifestyle. The absurdity of people ordering coffee in Los Angeles, California is captured in this season one episode of #OnlyinHelLA, a comedy web series created by comedian Rory Uphold that focuses on the often illogical and petty things that happen everyday in Los Angeles. Some shows are a love letter to their environments. They sing the praises of the people and places that make their settings unique. From cool landmarks to the cute quirks of the local populace, these shows tell you exactly how much their creator likes the place they live. 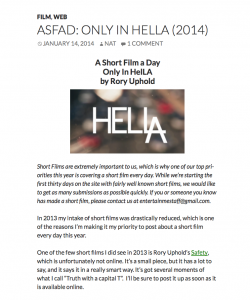 When I saw Rory Uphold’s new series “Only in HelLA” I wanted to talk to her for two reasons. One: the show is hilarious in a way that people in LA get in a very specific way, but still has universal appeal. Two: she writes, directs, and stars in the project and those of us who’ve been through that have gotta stick together! Ever thought about moving to Los Angeles? Think again. The homeless people are pretentious, there’s no place to park your car and they have pool parties where people never actually get into the pool for some reason. Lame. 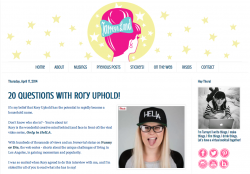 Hey Strand Stylistas – I want to introduce you to my new girl crush, Rory Uphold! 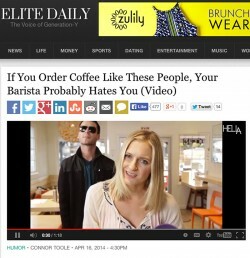 Driving to a Hermosa Beach coffee shop to meet with local webisode director and actress Rory Uphold plays out almost exactly like an episode of her newly released locally filmed web series. Rory Uphold has created my new favorite web series, Only in HelLa. And you need to watch it, now. There is nothing worse than running into a “friend” who is doing better than you in every single way. You know the type. There are certain day-to-day things that make Los Angeles a living hell – or, at the very least, a nightmare zone. The hit web series “Only In HelLA” is like a tour bus, making stops to show folks all the most annoying people and places the city has to offer. A new web series called “HelLA,” by Los Angeles native Rory Uphold, aims to capture the awkwardness and absurdity that is life in La-La Land with short, devastating clips like the video above. From catching stars shopping for crystals to spotting sweaty celebs on your morning hike to hearing about a Real Housewife losing her baby swan, LA is filled with “only in LA” situations. Capturing these hilarious snapshots is singer/actress/filmmaker Rory Uphold, who just launched a new web series called Only in HelLA (pronounced “Hell-Lay”). If you’ve heard anything about L.A., besides the glitz and glamour part, you know the freeways and the parking situations are mostly always a nightmare. 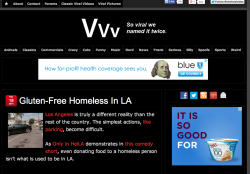 Know how we keep telling you to move to L.A. if you want to write for TV? Well, here’s a show about people who’ve done just that. Yeppers, gang, the lid is off, the truth is out: It’s hell.